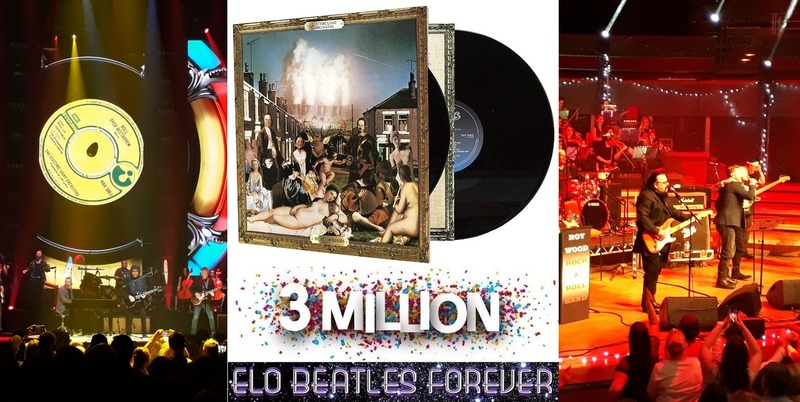 Another trip around the sun is almost complete and 2018 has proved to be another interesting year for elobeatlesforever (elobf) as the milestone of 3 million views was reached on the very day that Yours Truly KJS was in Liverpool to see Jeff Lynne's ELO on back on October 23rd. It was also the year that an incomplete 2LP edition "Secret Messages" was released albeit without "Beatles Forever" (much to the disappointment of this writer), being one of several elobf scoops amongst those for a new Roy Orbison/RPO album, the Jeff Lynne/ELO Original Album Classics 5CD set and the first volume of ELO's UK 7" Singles boxed set. 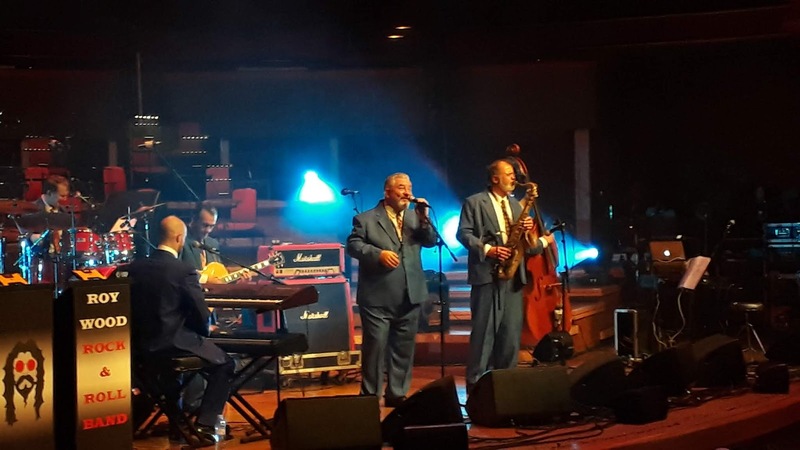 2018 was a busy year in terms of gigs with many attended both inside and outside of the elobf universe. 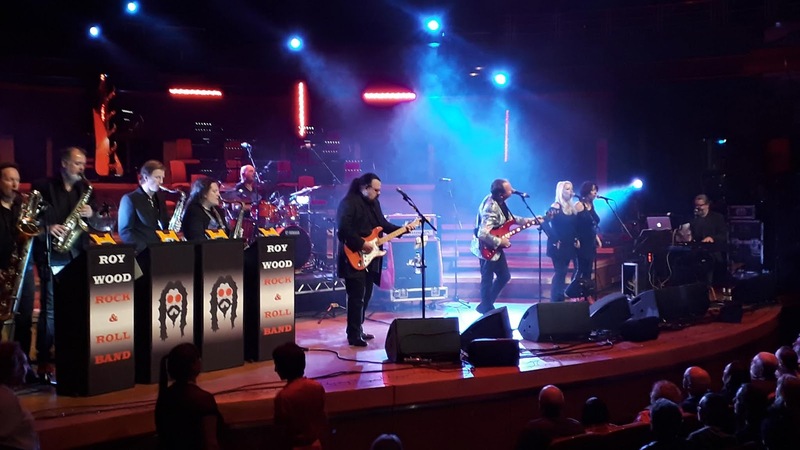 Jeff Lynne's ELO were busy again on both sides of the Atlantic and many were thrilled to see the ELO maestro plough through his greatest hits backed by Musical Director Mike Stevens and their now familiar touring band. I was fortunate to see EJLO in Liverpool again this year and without a doubt such a polished show was hugely memorable. 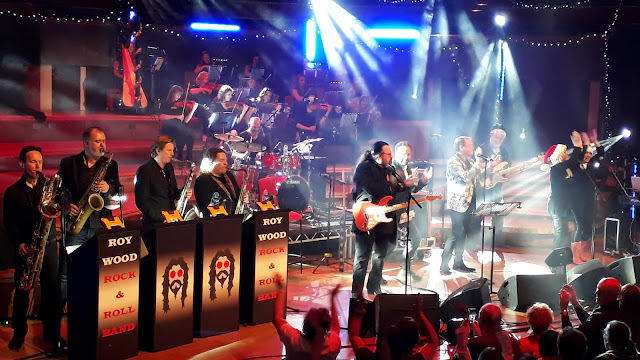 It was strange not seeing Roy Wood and his Rock 'n' Roll Band perform at The Robin 2 this year for the first time in a decade but his fabulous Rockmas 2018 event more than made up for it! 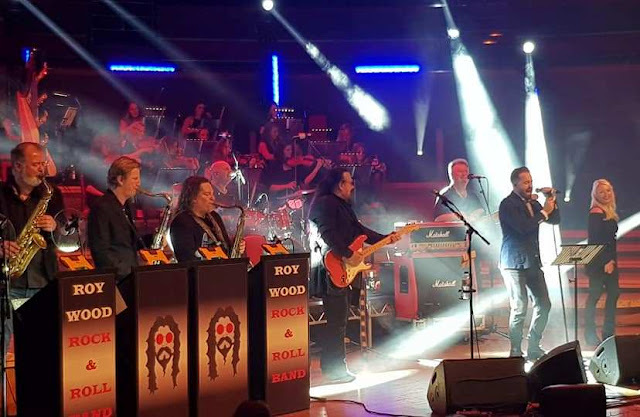 Yours Truly KJS also caught four ELO tribute bands live during the year and managed to go see a holographic Roy Orbison alongside a full orchestra whilst ELO co-founding drumming legend Bev Bevan was in action with both Quill and old pal Jasper Carrott. All in all a wonderful twelve months capped perfectly by the good Dr. Wood. 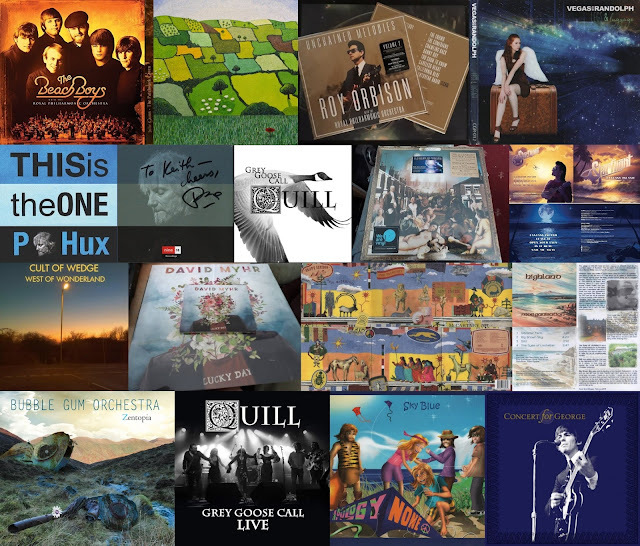 Fifteen albums were reviewed during 2018 from the familiar such as The Beach Boys and Roy Orbison to Paul McCartney's "Egypt Station" to Quill's "Grey Goose Call EP" to P.Hux's "This Is The One" to BGO's "Zentopia" and a fair few local, national and international indie artistes too. Undoubtedly, the 2LP issue of "Secret Messages" was significant but the exclusion of "Beatles Forever" (and a 2CD issue) was a major commercial gaffe by both Sony Legacy and Jeff Lynne almost certainly preventing a decent placing in the UK Top 100 Album Chart. With that in mind, after some reflection and many plays, my choice for elobf Album of the Year 2018 is the wonderful "Lucky Day" by Swedish Power Pop perfectionist David Myhr. Yours Truly KJS would like to take this opportunity to thank each and every visitor and contributor to elobeatlesforever (elobf) during 2018 and to also wish you a Happy, Peaceful, Prosperous if not ELOtastic New Year. 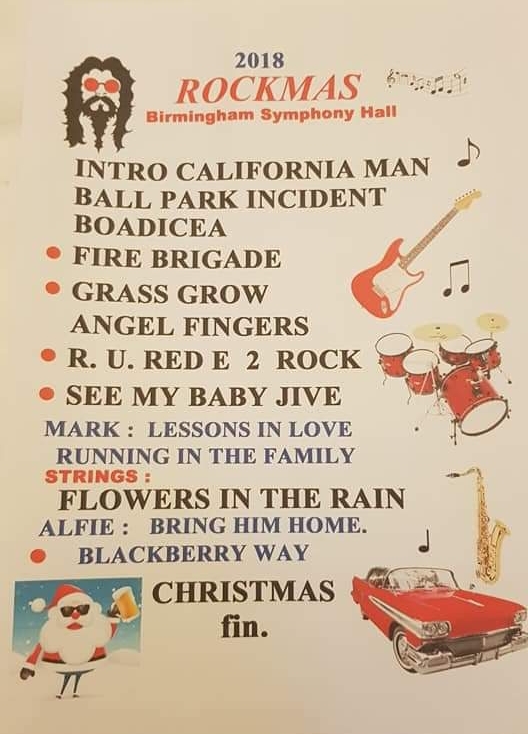 There is much to look forward to in 2019 with our 10th birthday in February (and ensuing celebration in May) not too far away. See you on the other side folks! Thirty years ago, there was a song in the British Singles chart that many folks (including Yours Truly KJS) thought sounded as if Beatles maestro Paul McCartney had taken a leaf out of Jeff Lynne's book and released a track oozing ELO with its lush orchestration and layered vocals. "Keeping The Dream Alive" by German rock combo Müenchener Freiheit (shortened to Freiheit) had entered the UK Top 30 just in time for Christmas 1988 at #27 going on to peak at #14 in January 1989. Taken from their iconic album "Fantasy" and featuring The London Symphony Orchestra with The Jackson Singers, "Keeping The Dream Alive" is even now fondly regarded as a classy festive hit that sneaked in under the proverbial radar and even now retains a certain magic. 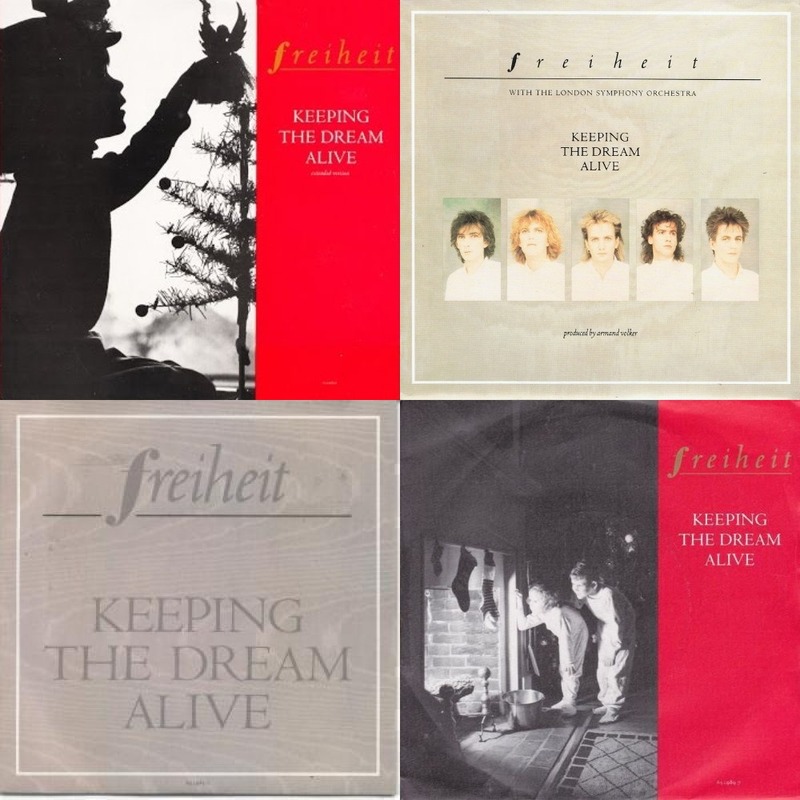 elobeatlesforever (elobf) recommend "Keeping The Dream Alive" and "Fantasy" by Freiheit to those enlightened folks who enjoy the music of ELO, Jeff Lynne, Roy Wood, The Move, The Idle Race, 'Brum Beat', The Beatles and related artistes. It's widely known that Slade's festive single "Merry Xmas Everyone" beat Roy Wood and Wizzard to the coveted #1 spot in the UK Singles Chart during Christmas 1973. Many folks presume that Wizzard made #2 that year but "I Wish It Could Be Christmas Everyday" actually peaked at #4 whilst Roy's solo single "Forever" (HAR5078) was holding its own at #11 at the same time, later to peak at #8 in January 1974. Yours Truly KJS thinx that the main reason for Wizzard not challenging Slade more closely at the chart summit lies with the aborted release of IWICBCE via Warner Bros. (K16336) whereupon it was deemed in breach of their recording contract with EMI/Harvest and subsequently released weeks later on the Harvest label (HAR5079) with some copies sporting a Harvest sticker. Both issues were backed by "Rob Roy's Nightmare (A Bit More H.A. )", an instrumental track credited to Mike Burney. 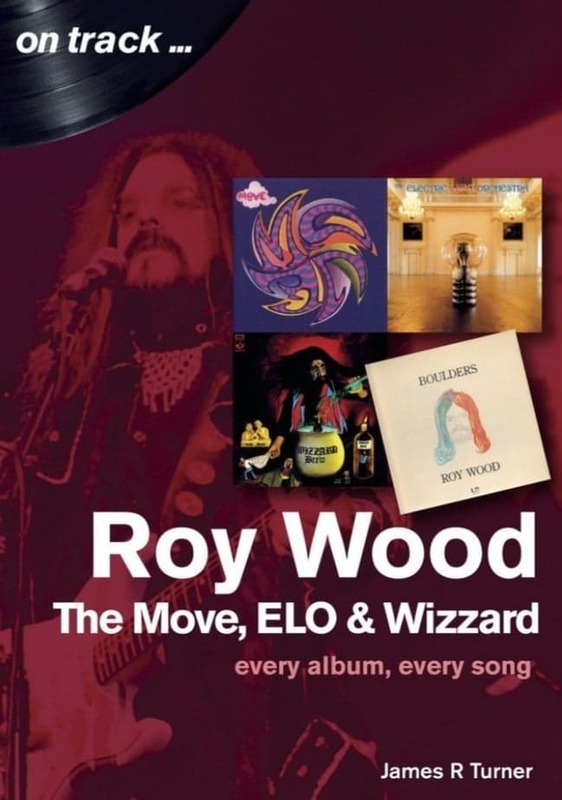 Perhaps the fact that there were two Roy Wood penned songs released at the same time was another factor as was the fact that the Top 12 was also occupied by such big selling artistes as Gary Glitter, The New Seekers, Marie Osmond, Alvin Stardust, Leo Sayer, David Essex, Mott The Hoople, Roxy Music and T.Rex meaning that the competition was stiff. You may be surprised to read that Elton John's "Step Into Christmas" stalled at #24 to underline just how competitive it was. Wizzard's "I Wish It Could Be Christmas Everyday" therefore has something in common with ELO's 1983 album "Secret Messages" (JETLX527). 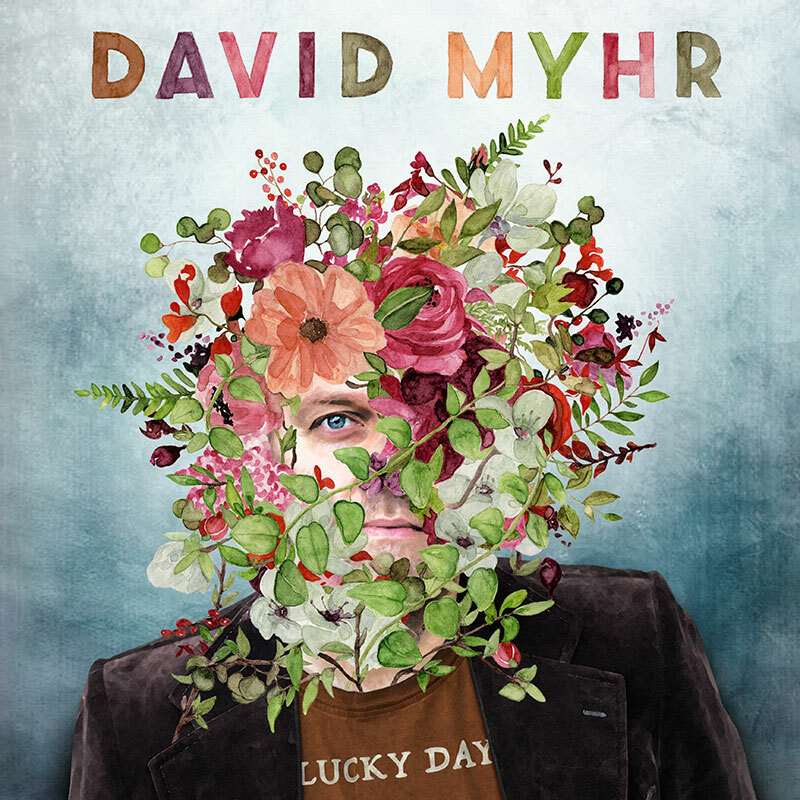 Both peaked at #4 in their respective charts, both might be seen as underachieving in chart terms yet both ultimately performed relatively well when compared with the competition at the time. 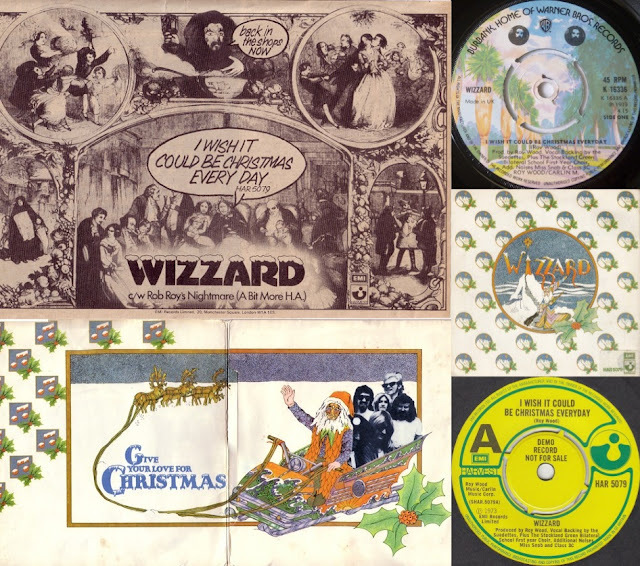 Note also that Wizzard have outperformed Slade in the Christmas chart on many occasions since 1973. 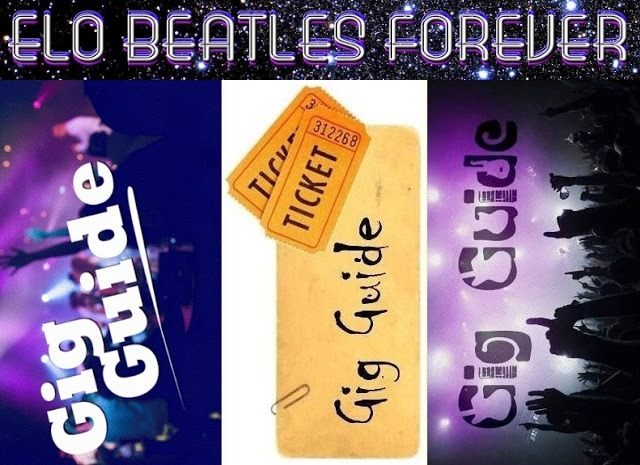 Why not read these related elobeatlesforever (elobf) articles for further information on the above? This article has been developed from a suggestion by my good friend John Collins. 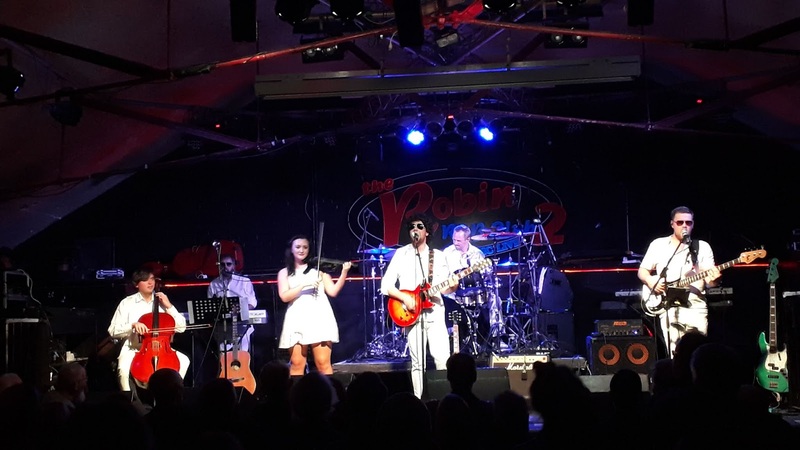 A ninth opportunity for Yours Truly KJS to go see South Wales septet ELO Again perform the music of the Electric Light Orchestra - again - at The Robin 2 was not be missed on Friday night (7th December) as a healthy audience were taken on another musical journey through classic ELO all the way through from debut hit "10538 Overture" to 1986's "Calling America" and sampling every studio album from "The Electric Light Orchestra" (or "No Answer" in the US) to "Balance Of Power" in the process. A lot has changed since elobeatlesforever (elobf) first reviewed an ELO Again gig back in November 2013 with only cellist Sion Dafydd Dawson an ever present (they're in good company as this is also the case with Jeff Lynne and ELO these days). Yet, on the basis of this performance and the reaction of those assembled, ELO Again have developed an entertaining tribute to Birmingham's best. In the 51 weeks since their last visit to Bilston, the obvious difference in the band to seasoned followers was new singer/guitarist Joel Jordan, who seemed to enjoy his West Midlands bow combining his vocals with some nice guitar work whilst working an enthusiastic crowd into several bouts of Black Country banter. The only tweak in the set from last time was the inclusion of "Strange Magic" in lieu of "When I Was A Boy" and this made for an impressive foray through those hit (UK) singles we all know and love plus "Do Ya" and "Tightrope". Fave moments for me were their renditions of the aforementioned "Calling America" and "Tightrope". Given the growing pool of ELO tribute acts in the UK these days, I think any ensuing competition will only benefit the paying public and fans. On the other hand, I also strongly believe that each tribute has its own identity and uniqueness. 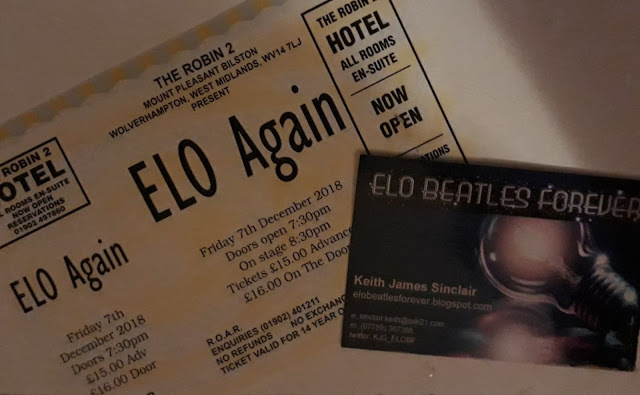 Would I go see ELO Again - again? I think so. 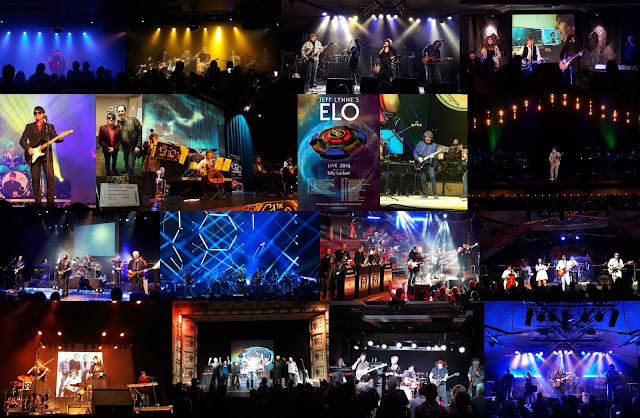 ELO Again performed: "Tightrope" ~ "Evil Woman" ~ "Livin' Thing" ~ "Can't Get It Out Of My Head" ~ "Confusion" ~ "Hold On Tight" ~ "10538 Overture" ~ "Wild West Hero" ~ "Showdown" ~ "Sweet Talkin' Woman" ~ "The Diary Of Horace Wimp" ~ "Calling America" ~ "All Over The World" +++ "Twilight" ~ "Do Ya" ~ "Strange Magic" ~ "Shine A Little Love" ~ "Last Train To London" ~ "Telephone Line" ~ "Rock 'n' Roll Is King" ~ "Turn To Stone" ~ "Rockaria!" ~ "Mr. Blue Sky" ~ "Don't Bring Me Down" ~ "Roll Over Beethoven"